Teaching with Grace: So blessed! Thank you Mechele!! I love wonderful surprises, don't you? I had one today when I checked my e-mail. I saw that not only did I have a comment on a post but it was a comment that came with a prize!! I am a lovely blog! Thank you so much to Mechele from Barrow's Hodgepodge! 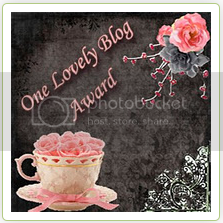 The really great thing is that I also get to pass this award onto 15 other lovely bloggers. Below are the lovely people that I think you should totally know about! 1) Link back to the blogger who gave it to you. 2) Pass it on to 15 other lovely bloggers. 3) Follow the person who sent it to you. Go check out these amazing bloggers and make sure to leave a little love on their comment walls!!! Thank you Jennifer! You are so sweet to think of me for your award. Enjoy the fun and thanks for passing it on!